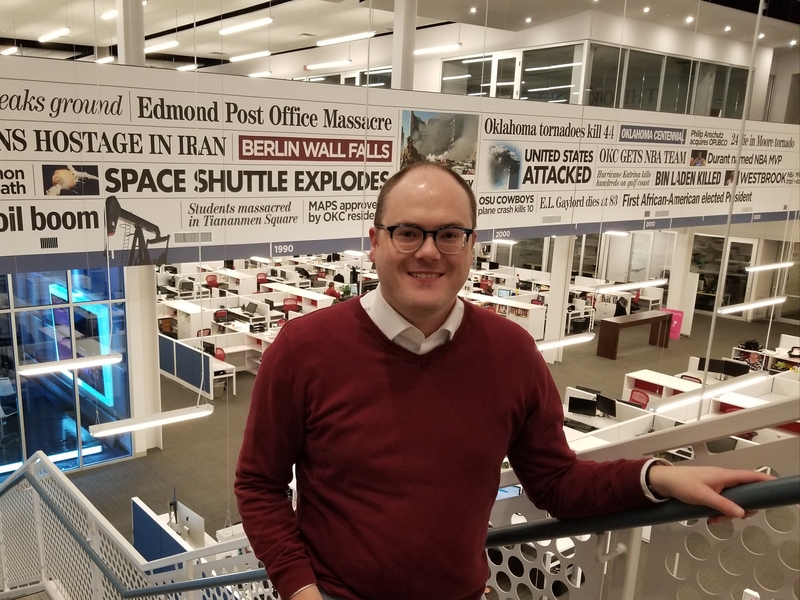 Trevecca alumnus Ben Felder (’06) recently stepped into a new role: news director at The Oklahoman, the largest daily newspaper in the state of Oklahoma. But before working in a newsroom, Felder was a Trevecca theology student. He credits Dr. Tim Green, dean of Trevecca’s Millard Reed School of Theology and Christian Ministry, with helping him find his way to Trevecca. Green was the guest speaker at a summer camp in Missouri that Felder attended. He says Green’s speech and presence were the deciding factors that sealed his decision to enroll at Trevecca. “Tim Green really sealed the deal for me and became my main mentor and role model as a student at Trevecca,” Felder said. Studying theology at Trevecca was an experience Felder says prepared him well for his career as a journalist. Felder, a native of Kansas City suburb Raytown, Mo., came to the Hill in 2002 to pursue a degree in theology. After graduation, Felder continued his education, attending seminary in Seattle. But once there, Felder realized he didn’t feel called to work in the church or pastor, and he left before finishing. He traveled back home to Raytown with his sights on working in a local newsroom. He’d always had a passion for journalism, Felder says, and all he needed was an opportunity. An opening as a receptionist at Raytown’s local paper caught Felder's eye, and he accepted the job to get his foot in the door. While working at the paper, he took every opportunity available to craft his skill. Felder’s first story as a journalist focused on a debate over a new city park, a story he covered during his free time. A few years later, he was promoted to editor. Felder was working as a journalist, writing for several newspapers in the Kansas City area, when a new opportunity arose, this time for his wife, Lori. Felder's wife, a 2005 Trevecca alumna, received a job offer in Oklahoma City. The couple soon relocated and Felder found himself in a new city with no contacts. He had to start from the bottom up. Taking a job at a small paper in Oklahoma City, Felder wasn’t covering the stories he was passionate about. With an interest in politics and education, he started his own blog, where he covered a mayoral race as a way to produce clips to get noticed by a bigger newspaper. Being proactive worked in his favor. Soon, Felder had garnered the attention of the editors of the Oklahoma Gazette, a weekly newspaper that covers statewide news. When The Oklahoman had an opening at its investigative desk, Felder was offered the position. 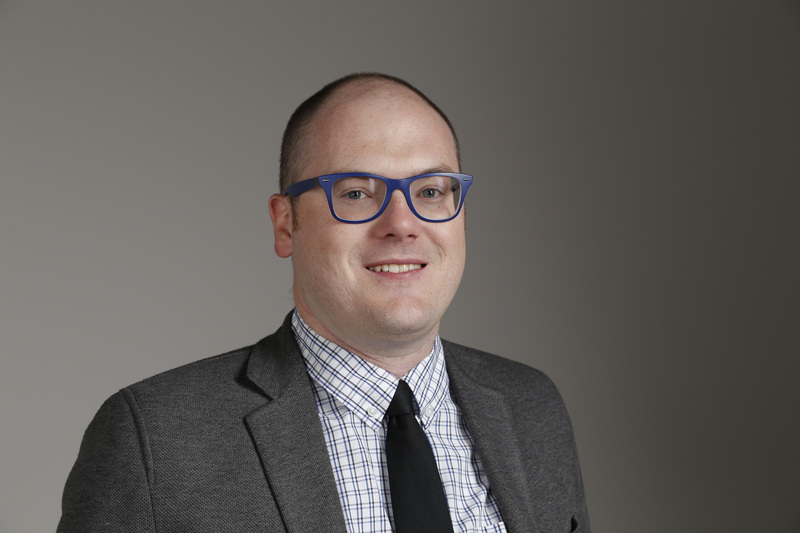 As a reporter at The Oklahoman, Felder mainly covered state politics, local government and education. Just last month, he was promoted to news director. Felder says Trevecca’s theology program helped him to become a successful journalist. While Felder honed many of his skills as a journalist at Trevecca, his hard work and perseverance also played a role in his successful career.